Jermaine Cole, known by a mainstream audience as J. Cole, is an American rapper, singer and producer. Cole first gained recognition in 2007 upon the release of his debut mix-tape, named ‘The Come Up’. From there, he went on to become a superstar, and has earned his fair share on money within the past decade or so. As of 2019, J Cole’s net worth is estimated to be $30 million. Jermaine Cole was born on the 28th January, 1985, in Frankfurt, Germany. He was born on a military base, as his father is a former solider for the U.S. Army. His mother worked for the U.S. Postal Service. When Cole was 12 years old, he began rapping. His mother also bought him a music sampler for Christmas, which inspired him to also start producing. 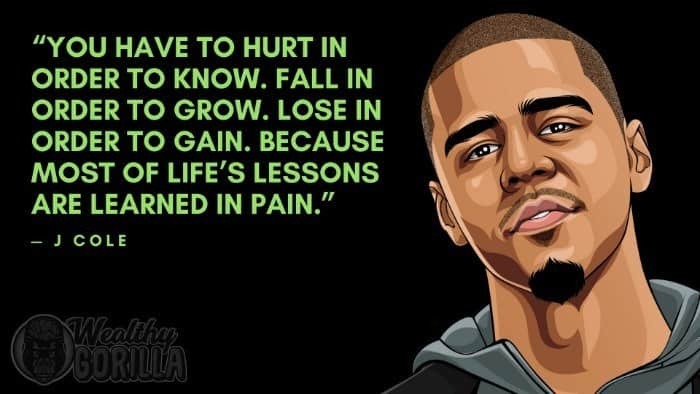 J Cole graduated from St. John’s University in 2007 with a degree in communications and business; however he didn’t receive his degree until 2015. By 14 years old, Cole had notebooks filled with songs, lyrics and ideas. He was also heavily into the producing side of things, but only had enough equipment to make sample beats. His mother purchased more equipment for him, to help him become better at producing; and a couple of years later he was posting songs on forums online. Jermaine released his debut mixtape in 2007, titled ‘The Come Up’, followed up by ‘The Warm Up’ two years later. This time, his work was noticed by many, and he got an opportunity to collaborate on a track with Jay-Z. In 2010, he started popping up on many artist’s songs, such as the likes of Drake and Wale, and was then signed to Jay-Z’s record label, Roc Nation. 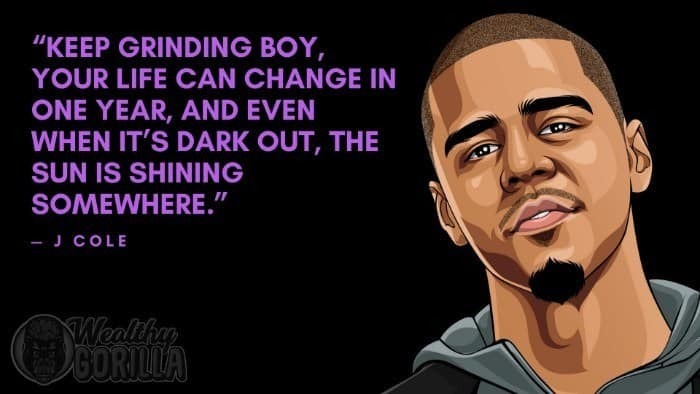 From there, J Cole went on to release multiple albums, perform at his own shows, and start making a lot of money. View our larger collection of the best J Cole quotes! 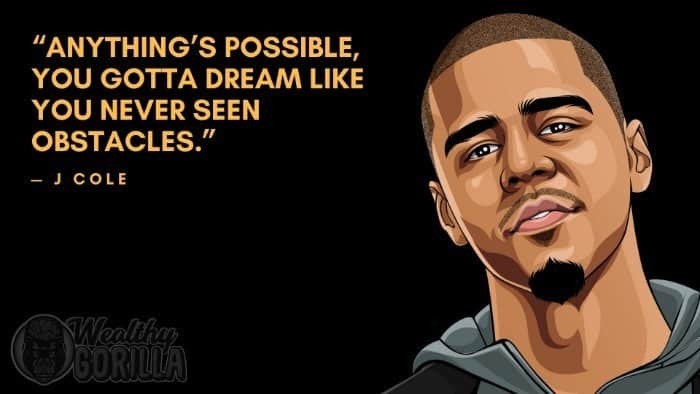 Cole was originally rejected by Jay-Z when he presented a selection of his songs to the star. A while later, he was signed to Jay-Z’s company. You can’t shy away from what you love. Take a chance on it, and don’t look back. Jermaine was only 12 when he first became interested in music, and he didn’t wait. He began improving his producing skills, and writing songs. By 14, he had a notebook filled with them. 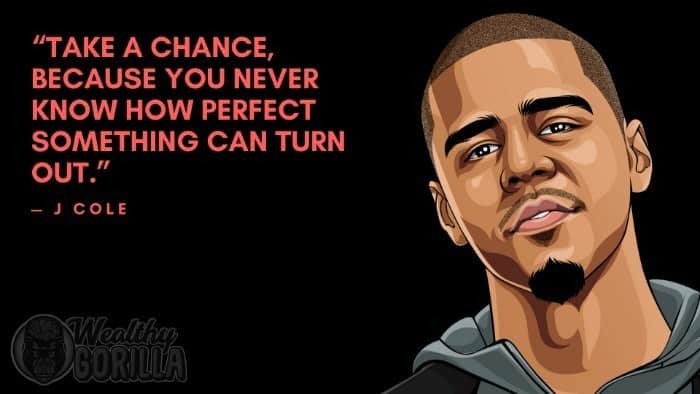 In an effort to improve, J Cole was also focused on learning more about producing. He took the equipment he had to the limit, until he was able to get more advanced tech. Jermaine Cole is a successful recording artist, and his quotes are also some of the most popular on Wealthy Gorilla. 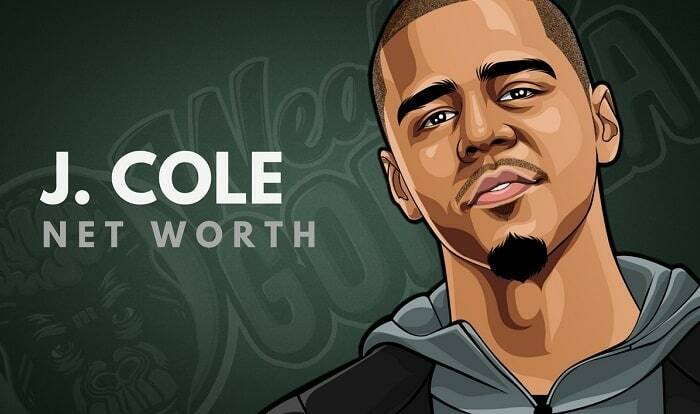 What do you think about J Cole’s net worth? Leave a comment below.